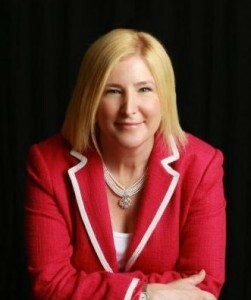 Lisa Tillinger Johansen is a registered dietitian and health educator who teaches a variety of classes on diabetes, pre-diabetes, hypertension, cholesterol, weight management, coronary artery disease, congestive heart failure, and healthy eating for adults and teens. She holds a Master of Science degree in nutritional science, Coordinated Dietetics Program, from California State University, Los Angeles. Her latest book is Fast Food Vindication. 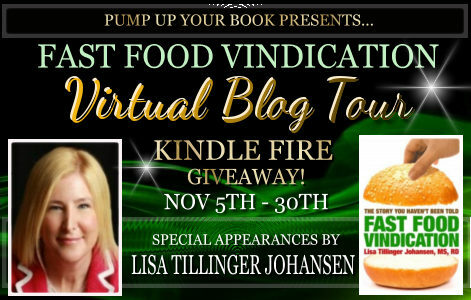 Visit her website at www.fastfoodvindication.com. The fast-food industry has long been the whipping boy for all sorts of health ills. Obesity in children and adults? Blame it on fast food. Heart problems, diabetes, high cholesterol? Fast food is the culprit. 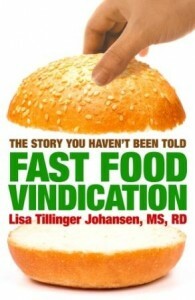 In FAST FOOD VINDICATION, Johansen takes a lively, informative, and realistic look at our eating habits, and, using her expertise and experience as a registered dietitian, seeks to educate readers on making smart dietary choices no matter where they eat. Here in this book, Lisa Johansen shows readers that Fast Food is not the reason for so many overweight people in our world. It is what we choose to eat that does that. Food shouldn’t me our enemy, we can learn to eat the foods that are good for us, even at fast food establishments. I was surprised at all of the information in FAST FOOD VINDICATION. 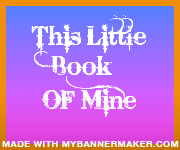 The author did a great job of gathering information and organizing into this wonderful book. Being a registered dietitian is an added bonus because the author knows her foods and nutrition facts. I appreciate the way she supports the fast food industry and backs her statements up with remarkable facts and findings she’s ran across in her research. I found this book a most interesting read, and it sure captured my attention. If you would like another side of the fast food industry that we usually hear, then I highly recommend this book for you to read and find out the facts for yourself. 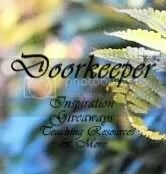 You will sure not be disappointed in what author Lisa Johansen had for you in her new book. Pick up your copy soon! positive review. The opinions in this review are mine.